Freemasonry is one of the world’s oldest fraternal societies. Contrary to what many may believe, it has no particular religious connection. The only spiritual connection is a requirement that those who wish to join hold a belief in a supreme being. It is open to men of all religions, failths and beliefs – but neither religion nor politics is allowed as a topic of conversation at a Lodge meeting. Sikhs, Muslims, Christians, Buddhists – the list is endless – all meet as equals in brotherhood. Through a series of dramatic rituals, its members are taught moral lessons and are led to a better self-knowledge. These rituals, which have been in use for many years, use stonemasons’ customs and tools as the framework. Where stonemasons build structures with stone and mortar, Freemasons build character with support and friendship. We are taught thoughtfulness for others and to practice concern for people and care for those less fortunate than ourselves. Relief Freemasons are taught to practise charity and to care – not only for their own – but also for the community as a whole, both by charitable giving and by voluntary efforts and works as individuals. Freemasonry is not a single organisation. The whole is covered by a number of branches, or ‘Orders’. The foundational Order of Freemasonry from which all other Orders spring is ‘Craft’ Masonry. You must be a member of ‘the Craft’ before you can join any other Order, and other rules concerning membership apply, too. Anyone who wishes to know more details about the diversity of Masonic Orders would do well to visit the Mark Masons’ Hall online shop. The rules by which ‘the Craft’ is governed are freely available for view by anyone who cares to do so. They are posted on the UGLE website, as are the rules and regulations appertaining to another Order in Freemasonry – The Holy Royal Arch. Actually, no it’s not. 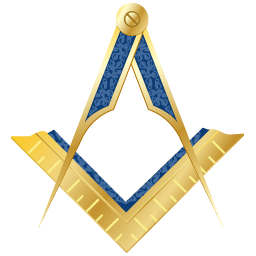 There are a number of Masonic organisations; the one we are part of is for men only. There are some for women only and others for both men and women. We are all staunchly in favour of our own “brand”, of course. A number of members of the Athelstan Lodge have a wife, partner, daughter or sister who is a member of their own female Lodge. The Order of Women Freemasons would be pleased to hear from women who are interested. The photo above is from the OWF Centenary celebrations at the Royal Albert Hall in June 2008, when a total of £500,000 was donated to two major charities. The Honourable Fraternity of Ancient Freemasons is an alternative for women’s Masonry. Visit the website of the United Grand Lodge of England. If you live near Atherstone, we would be pleased to hear from you.